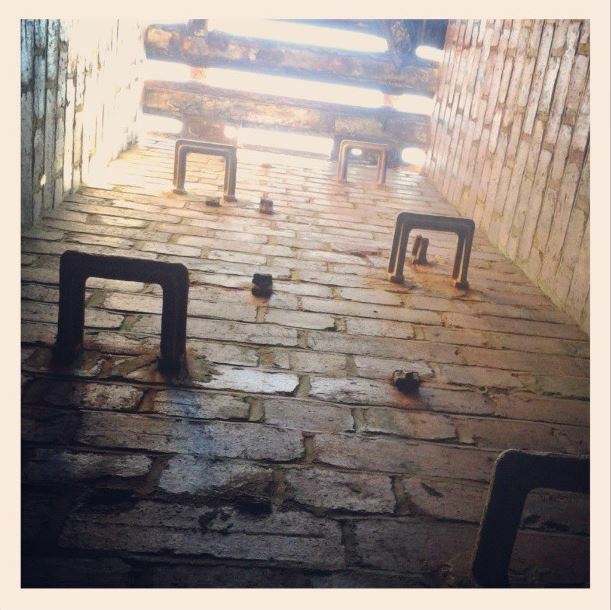 A chill breeze swept through the sewers, a relief from the heat and stench of the city above. Bodily fluids of all kinds ebbed gently through the labyrinth of tunnels, but the reek of stagnant water was preferable to the decay and decomposition of bodies above. 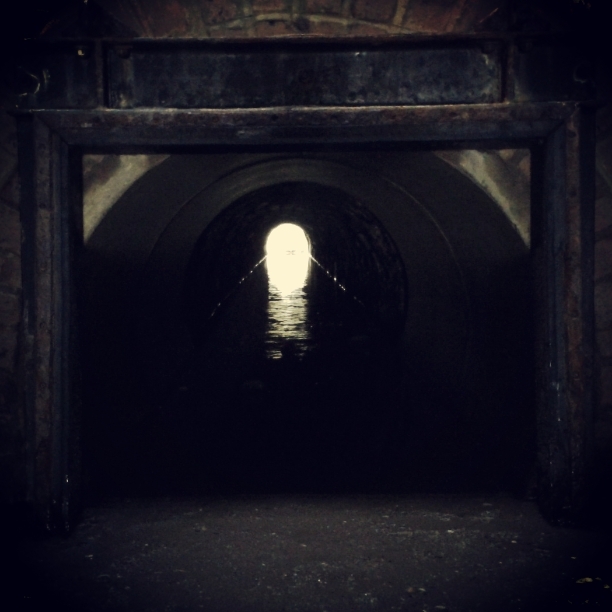 The sewers were free, free from their original use with the loss of humanity, and free from the roaming, moaning bodies that feverishly sought the few survivors. Helena shivered as her legs wobbled. She slid down the damp, dark wall, her fingers raking through her matted hair, and for the first time in two weeks she allowed tears to drip onto her grubby vest. Her feet dangled in shallow, murky water and she thumped her head with the base of her palm as the things she’d seen raced through her mind. She grabbed a fistful of hair and let out a clear, uncontrolled wail. 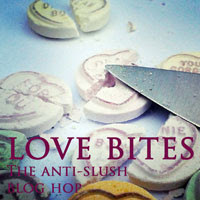 She keened, rocking on the edge of the rill, hitting her head against the wall until sticky, warm blood coated her hair. Her mind blinked as she recalled moments of horror, but she failed to notice the whir above the whistle of the wind or the tiny, flashing green light peering out of the dark tunnel. Footsteps splashing through the water saw her leap to her feet in terror and run on loose legs, tripping and tumbling into the foetid water. For a moment she wondered if drowning was the better choice. “It’s okay!” The voice startled Helena. 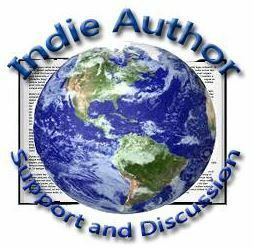 The voice had cohesion, it uttered words, real words, and Helena lifted her head. Two bodies hurried towards her and she scrabbled backwards in panic. When she realised the bodies neither ambled nor dragged, but headed direct and fast, she allowed herself to wait. Strong arms scooped her up and words, blessed words, accompanied the arms that cocooned her. She blacked out. As the haze cleared, and her heavy eyelids opened, blue eyes stared back. “I wasn’t sure you’d wake up!” he said. Having been alone for so long, Helena couldn’t form a single word, let alone a sentence. She gazed at her hand, at the crude drip set up and hanging from a rusty hook on the wall. Her rescuer lifted a torn curtain and her eyes trailed the room. It was huge, concrete and lit by dull fluorescent strips. People, equipment and supplies filled every corner. “It’s okay,” he said. “You’re safe. Saw you on the video feed. Didn’t think we’d get to you in time!” He indicated a timer on the wall. Huge red, digital numbers rolled into single figures. “A few hours later and we’d never have got you all the way down here…and safe! You’re the last one from above, the last one ever!” he said. Written for J. Whitworth Hazzard’s Zombie Apocalypse Flash Fiction Contest. Go take a look at the other stunning entries…and add yours if you’ve time! 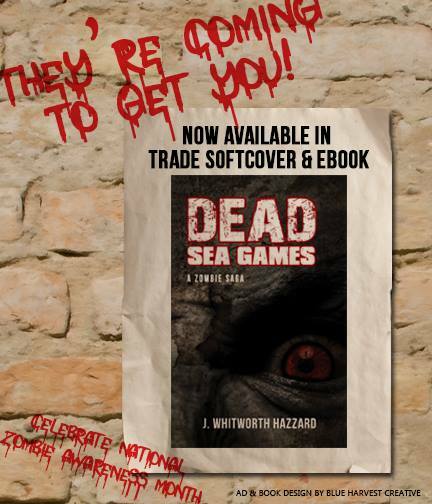 If you like this you need to read Dead Sea Games by J. Whitworth Hazzard. 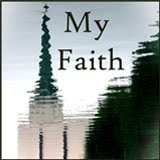 Like my story? 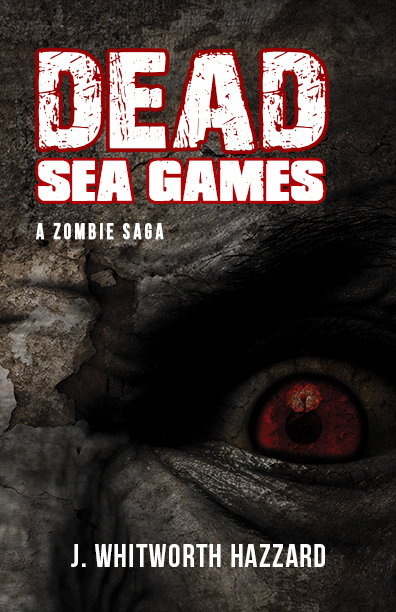 Kickstart the zombie apocalypse by publishing Dead Sea Games. Want to write like me? Personal coaching and critiquing by Miranda Kate. This entry was posted in Fiction, Flash Fiction Contests and tagged armageddon, end of the world, nuclear, sewers, terror, tunnels, zombie apocalypse, zombies on 26th July 2014 by Lisa Shambrook. Carol ran her fingers through her short hair and glared. Daryl glanced back from the clearing and motioned lifting his crossbow into the air. “See, nuthin’ there, just your imagination lady!” Merle quipped striding to his brother. Carol sighed and followed, stepping lightly through the long grass, casting watchful looks over her shoulder despite the all clear. She cautiously backed up to the brothers, squinting at the trees, until she reached Daryl’s shoulder. “Something in the far trees. Maggie said something glinted,” Carol whispered. “No one asked you…” muttered Carol. “He’s gonna get us killed one of these days,” hissed Carol. Merle continued across the grass. Daryl bent forward hurrying along the edge, muscles taut, ready, ears listening and eyes darting. Carol followed close. Daryl and Carol stopped. “You hear that?” she whispered. “It’ll attract attention…” murmured Daryl. “Coming from over there…” Carol pointed. They moved towards the whimper. They ran guardedly into the shadowy trees. “Fan out…” said Daryl, clutching his bow to his chest. She crouched in the long grass. “Dinner!” cried Merle ignoring Carol’s glare. “So tiny!” cooed Carol, “No…” Tears welled as she parted the grass revealing a forgotten hunter’s trap. The puppy whined and Daryl sank to the grass. “Keep watch,” he muttered, “blood will attract walkers…” He pulled out his knife and worked on the trap, until the metal jaws snapped open and Carol moved the pup’s hind leg. Fresh blood spurted and Carol tore a strip of her shirt to bind around the pup’s wound. “Too small for dinner anyways…” said Merle. “We’re not leaving it.” Carol tucked the tiny creature into the crook of her arm. “Maggie must’ve seen the trap glinting…” She backed away from the twisted metal. “Let’s just get back,” said Daryl. Midday sun glared through the dappled shade, and they began to run through the undergrowth. Carol stayed close to Daryl, until he pulled up suddenly and wrenched up his bow. An arrow flew, swift and straight, hitting a walker between the eyes. Rattling moans rode on the wind and the putrid stench of rotting flesh filled the air. 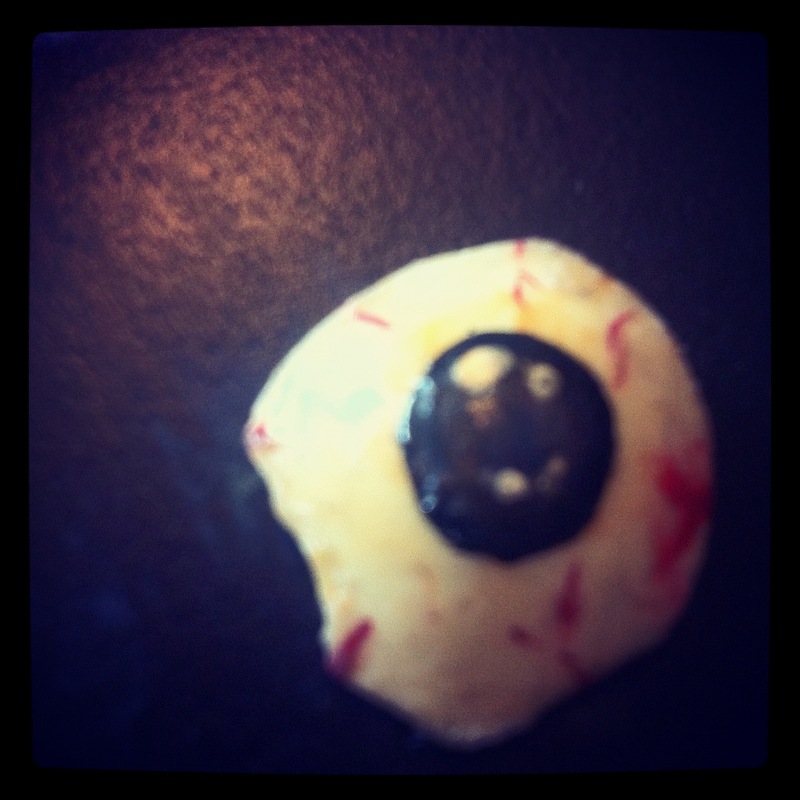 Zombies emerged from the trees, stimulated by the metallic aroma of fresh blood…and wild, dark eyes fixed on the living. Merle swung, lifting his newly equipped right arm, thrusting his blade up through a walker’s chin. Satisfaction blazed in his eyes and he whirled towards another zombie, driving the knife cleanly into its skull. Daryl fixed another arrow taking out a decrepit creature and immediately moved to a third walker lumbering close, slamming his knife through its throat and up into its brain. Carol held the puppy close, brandishing her hunting blade, her eyes wild and alert. No one spoke. Merle’s brow furrowed in determination as walkers leached from the woods, and Daryl grabbed his spent arrows, tearing them out of the finished walkers’ brains. The three moved close together, dodging walkers, bolting through trees and out into the clearing. They ran, pounding across the dry earth, until a cry lodged in Daryl’s brain. His breath caught in his throat as he turned. Carol was down on the ground, a zombie clawing at her. She held it off, kicking and thrusting with her knife, but more lumbered out of the trees, and the puppy lay at her side. “Leave her, it’s the dog they want, we’re good!” cried Merle. Daryl cast Merle a withering look and raced towards Carol. Merle threw up his arms and launched back into the fray. Arrows whizzed past Carol’s ear and the walker fell at her side, blood and ichor splattering down upon her and the pup. She twisted and was felled by another unwieldy walker. She screamed and seized the pup, tucking it down inside her shirt. The walker grabbed her leg and hungry moans assaulted her. Daryl strode forward, arrows flying from his bow, until the walkers lay totally dead and finished. Merle let out a whoop and thrust his blood spattered fake arm in the air. Daryl moved to Carol. His eyes roamed up and down her body. “It’s alright, I’m not bitten,” she assured him as he dropped beside her. A wry smile played on his lips as he caught her eye and his hand lingered, brushing against her thigh. She stared into his eyes, and as his brother whooped, he relaxed. He dropped his crossbow and Carol rose on her elbows. Daryl lifted his hand and gently touched her face, wiping a splash of black ichor from her chin. He glanced away, his eyes trailing down her neck, across her torn shirt and down to her breast. She giggled, an usual sound in the eerie silence, and he rested his hand on her wriggling stomach. “So what you gonna call him?” he asked stroking the puppy through the thin cloth. Pop over to Bullishink to check out the hop! This entry was posted in Blog Hops, Fiction and tagged A Cherokee Rose Blog Hop, Carol, Daryl Dixon, Merle, rose, The Walking Dead, zombies on 28th September 2013 by Lisa Shambrook. Governor Stirland was irritated. “Put him on hold,” he said curtly and lifted his finger off the comm button. He growled and leaned back in his shiny chrome, padded leather chair. From the sixty first floor he had a commanding view, he linked his hands behind his head, and surveyed his domed and air-conditioned, stainless steel city. The city centre was clear of the undead…completely clear. Professor Turnbull’s concoction had changed the world and made the young Governor a rich man, a very rich man, and he was grateful, really he was, but the professor’s whiny voice was now causing him a great deal of stress. The airborne ZV39sT had worked and the undead had vacated the cities of their own accord, and now lived peaceably in the countryside, just as it was so across the planet. As a result the rest of mankind, now of no interest to the zombified, lived beneath domed cities, and were free to come and go as they pleased with no fear of the undead. This was written for a fun Zombie Flash Fiction Competition hosted by Holly at Confessions of a Stuffed Olive. 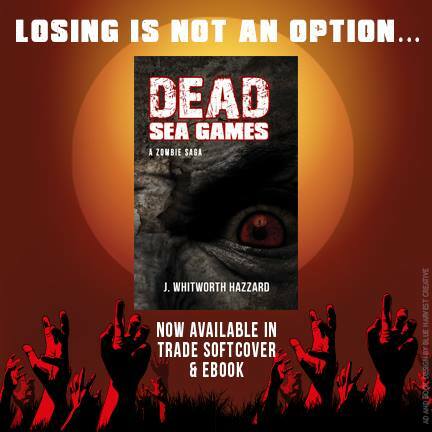 Must be written in under 250 words and contain humerous references to zombies! Go take a look at the rest on Holly’s page…they’re great! This entry was posted in Fiction, Flash Fiction Contests and tagged contest, Flash Fiction, humour, zombies on 11th March 2013 by Lisa Shambrook. Getting really fed up with local kids now…running past the house and yelling, up the path, knocking on windows, throwing stones, eggs, knocking on the door…you name it, fed up now. It’s all the more annoying with Mum so poorly, literally on her last legs and had been for a while and it frightened her when these louts tried to be cool, daring each other to run up our path. Well, not tonight, I’d had enough! This time, when the lad knocked on the window, I was ready. Mum whimpered as the boy peered into the room, and I leapt to my feet, grabbed the door handle, flung the front door open, and gave chase. The lad saw me and his face drained. Scare him, just a bit, and he wouldn’t come roaming our neighbourhood anymore, not him or his mates. He turned and ran, but seized by adrenalin I was on my feet and after him. Running up the road came a woman, old enough to be his mother, her reaction proved that’s just who she actually was. She asked what was wrong with a face as pale as the lad’s, so I explained, whilst still gripping his wrist. Mum’s ill and I just want her last few months to be carefree, worry free, just want to sit indoors on a Saturday night and watch rubbish on telly. We’re half way through X-Factor’s new series, Mum’s favourite show, just let us indulge her! She stared at me, looking like she was trying to gather courage; I wasn’t trying to scare her, just the delinquent son, so I released the boy who ran, whimpering, to his mother. I shrugged again…if they leave me alone, fine. I returned home to comfort mother. Written for Lisa McCourt Hollar’s Zombie Run over at Jezri’s Nightmares. Take a peek, if you’re brave enough, at the other entries! This entry was posted in Blog Hops, Fiction and tagged #zombierun, Jezri's Nightmares, Lisa McCourt Hollar, strange, Zombie Run, zombies on 26th October 2012 by Lisa Shambrook.